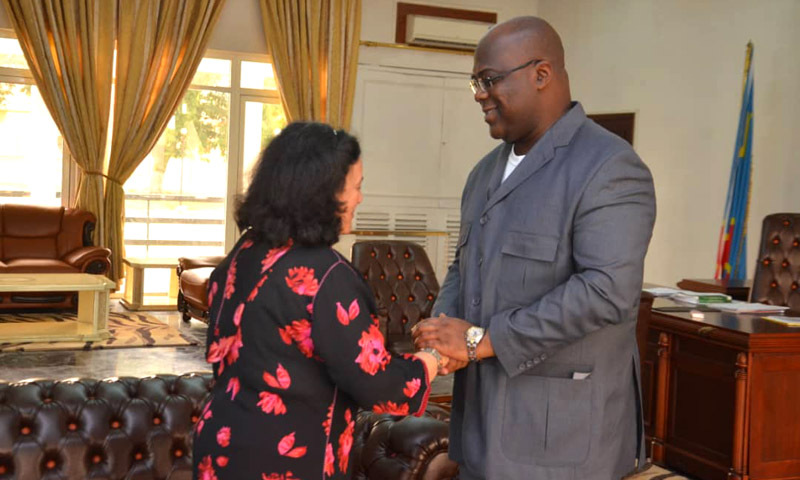 Kinshasa 07-02-2019 Politics - According to the Secretary-General of the United Nations, the latter is already in favor with the new Congolese regime concerning cooperation between Kinshasa and MONUSCO. United Nations Secretary-General Antonio Guterres said on Wednesday that his institution has already begun a dialogue with President Felix Tshisekedi Tshilombo on cooperation between Kinshasa and the United Nations Mission for Stabilization in the Democratic Republic of Congo (MONUSCO). "I believe there is a mutual willingness to cooperate," noted in an interview the boss of the UN for which the major problems facing the Congo are in the East. It may be necessary to review the existing mechanism in the Democratic Republic of the Congo. "I believe there is still work to be done in close cooperation with the authorities and the Congolese people," he said. The UN Secretary-General underlined the need to cooperate with the Democratic Republic of Congo and its new authorities to help the country of the enormous difficulties that it still knows. "It must be said that there is a wind of hope blowing in Africa. In general, we talk about negative things", he noted. In addition, the UN Secretary-General has said that his institution expects the new president of the DRC to be a dedicated service to the cause of the Congolese people. According to him, the Congolese people have suffered and still suffer in particular from armed groups in the east of the country, violence against women, children and the Ebola virus. "One need a government capable of being inclusive, rallying all Congolese and creating the conditions for the country to overcome the political, economic, social, and can find a stability that allows to overemphasize the problems of the country. He said.